Sorry, There is a problem with the connectivity. Please try after some time. If the problem persists please write to us at redemptionservices@StateBankRewardz.com. Membership access to the Site and the SBI Rewardz Program is open to all individual holders of a [savings or current bank] account with SBI. Your membership of the Site shall run coterminous with your membership of the SBI Rewardz Program subject to you conformance with these Terms. You understand that the Company provides this Site in order for you to review the loyalty points (“Reward Points”) accrued by you, and to enable you to redeem them by selecting products or services offered by our partner organizations (“Partners”). Earning. Reward Points can be accrued by making payments using your SBI Debit Card at points of sale for purchases. Points can be earned for purchases made at partner stores also. If at our partner stores you use your SBI Debit Card to pay for your purchase(s), you can earn additional Reward Points. Effective from 1st January 2019 you will earn 2 point for every multiple of Rs.200 that you spend using your SBI debit card. Suppose you spend Rs.500 using your SBI debit card then you earn 4 points. Expiry. 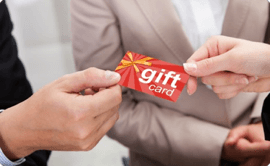 If not redeemed, Reward Points accrued on your card will expire as per the validity. For Reward Points earned between 1st January 2013 and 31 Dec 2014, the validity is 18 months excluding the month of accrual. For any other Reward Points, the validity is 36 months excluding the month of accrual. Pricing and Other Errors. If the number of Reward Points you redeem for a product or service is incorrect, regardless of an error in the number of Reward Points posted on the Site or otherwise communicated to you, or if you are able to redeem a product or service that was not supposed to have been released for redemption, then Company or our Partner will have the right to cancel that redemption and refund to you the Reward Points that you redeemed. This will apply regardless of a human/logical/transactional error. Final Discount. Any discounts available to you as a member of the SBI Rewardz Program cannot be used in conjunction with other discounts or special prices available to you through other promotional schemes run by the store or other organizations. 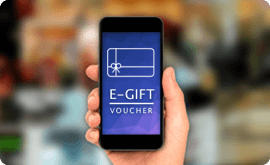 However, the points accrued through such purchases will be credited to your account, if such purchases meet all eligibility criteria for Reward Points accrual. Your use of the Site and membership of the SBI Rewardz Program may be subject to additional terms and conditions stated on the Site on specific pages relevant to a feature, service or offer. These include terms governing the accrual, redemption and expiry of your Reward Points that override the above three provisions. THE SITE IS PROVIDED "AS IS" WITH NO WARRANTY OF ANY KIND AND YOU USE THESE SERVICES AT YOUR OWN RISK. COMPANY EXPRESSLY DISCLAIMS ANY WARRANTY, EXPRESS OR IMPLIED, REGARDING THE SITE OR ITS CONTENT, INCLUDING ANY IMPLIED WARRANTY OF MERCHANTABILITY, FITNESS FOR A PARTICULAR PURPOSE OR NON-INFRINGEMENT. Furthermore some of the features, facilities and offers on this Site are provided by organisations including Partners, that Company has made arrangements with, but over which it has no control. Company does not guarantee or warrant that such benefits and facilities will be available, nor will it be liable for any loss or damage arising from the provision, or non-provision, whether in whole or in part of any such benefits or facilities. UNDER NO CIRCUMSTANCES WILL COMPANY BE LIABLE TO YOU FOR ANY INDIRECT, INCIDENTAL, CONSEQUENTIAL, SPECIAL OR EXEMPLARY DAMAGES ARISING OUT OF OR IN CONNECTION WITH USE OF THE SITE, WHETHER OR NOT COMPANY HAS BEEN ADVISED OF THE POSSIBILITY OF SUCH DAMAGES. UNDER NO CIRCUMSTANCES SHALL COMPANY BE LIABLE TO YOU FOR ANY AMOUNT. 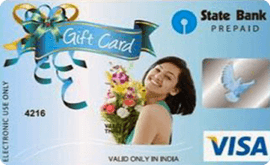 Whenever you use your debit card in order to obtain or utilise any of the benefits, facilities or arrangements offered or available as a result of your membership of the SBI Rewardz Program, you will be personally liable for any and all costs, charges, claims or liabilities of whatever nature arising from use of such benefits, facilities or arrangements. You agree to hold harmless and indemnify Company, and its employees, agents and representatives, from and against any third party claim arising from or in any way related to your use of the Site, including any liability or expense arising from all claims, losses, damages (actual and consequential), suits, judgments, litigation costs and attorneys' fees, of every kind and nature. You shall not assign these Terms or assign any rights or delegate any obligations hereunder, in whole or in part, whether voluntarily or by operation of law, without Company’s prior written consent. Any such purported assignment or delegation by you without Company's prior written consent will be null and void and of no force or effect, unless otherwise expressly consented to by Company at its sole and absolute discretion. You agree not to disrupt, modify or interfere with the functioning of the Site or any services provided on or through our Site or with any associated software, hardware or servers in any way and you agree not to impede or interfere with others' use of the Site.